Unusual Friendship. 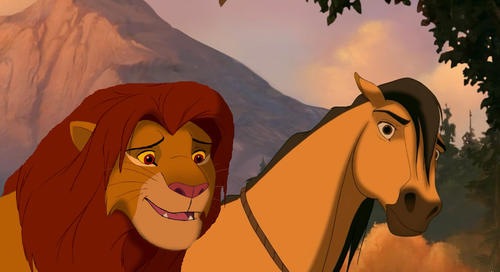 Simba ought to be hunting horses for food and Spirit ought to be afraid of lions - but they're best friends!. HD Wallpaper and background images in the disney crossover club tagged: disney dreamworks. 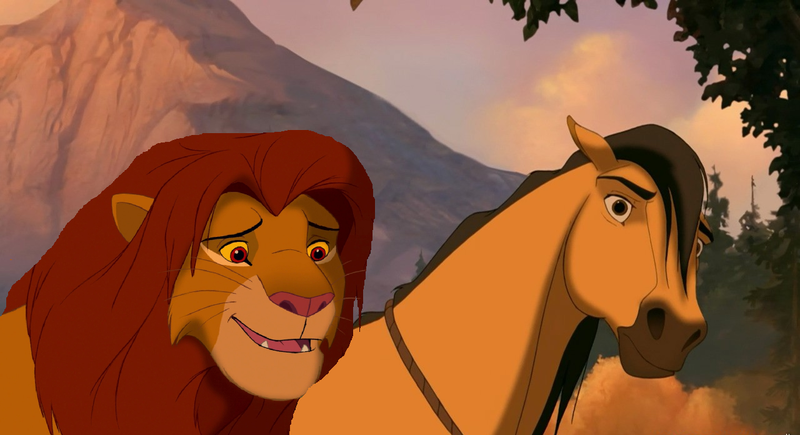 Simba ought to be hunting horses for food and Spirit ought to be afraid of lions - but they're best friends!